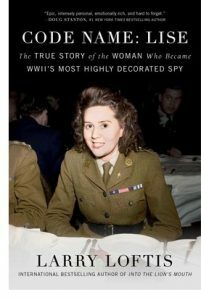 Today’s read is more evidence that a true life story can be more compelling than the best fiction: Code Name: Lise – The True Story of the Woman Who Became WWII’s Most Highly Decorated Spy by Larry Loftis. Playing out like a really good World War II-era spy movie, you have to stop every now and then to remind yourself this is the true story of Odette Sansom, whose mission, love, pursuit and capture will enthrall and ultimately inspire you. Code Name: Lise – The True Story of the Woman Who Became WWII’s Most Highly Decorated Spy by Larry Loftis is available from Amazon and other fine booksellers everywhere. Lost Cowboy is powered by	WordPress 5.0.4 and delivered to you in 0.949 seconds using 45 queries.